Beatrice's voice, sounding part fairy, part sage could only belong to her. She tells me of a recent dream: "I felt myself dying...the spirit leaving through the top of my head and the soul through the feet. But then I said 'No!, I've got more work to do.'" At the time, Beatrice was 103-years-old. If you've never heard of Beatrice Wood, hers is a story of a teenager who left the comforts of her wealthy, conservative home to find love, adventure, and art. Which, she did in an extraordinary way, making an irreversible imprint on the art world as moved through it. She is known for her association with Marcel Duchamp and as the mother of Dada, for her shimmering luster glazes, her work in theosophy, and her longevity. 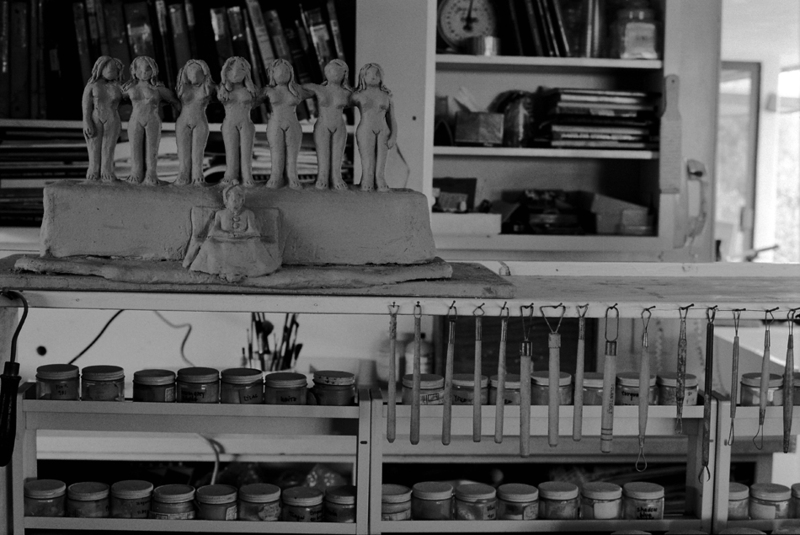 Video reproduction of Beatrice Wood: 15 minutes for a lifetime, a personal project, published in Zoozoom magazine in 2001.